Voted “Best Eyewear Shop,” not 2, not 3, but 4 times! All of our eyewear lines are handmade by independent designers that we know personally. A number of our lines are limited-edition and made-to-order. If you have a special request, please contact us! 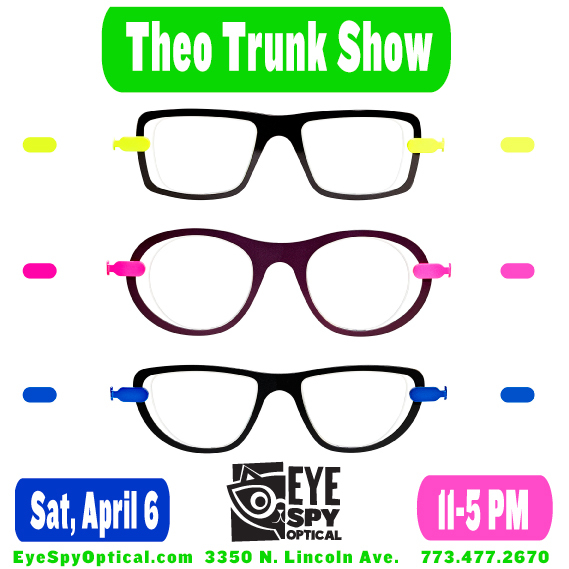 Theo Trunk Show on April 6th! Join us on Saturday from 11-5pm! Rob from Theo eyewear will be in-store and with the new spring and summer collection for 2019! See all the new designs, colors and fabulousness! 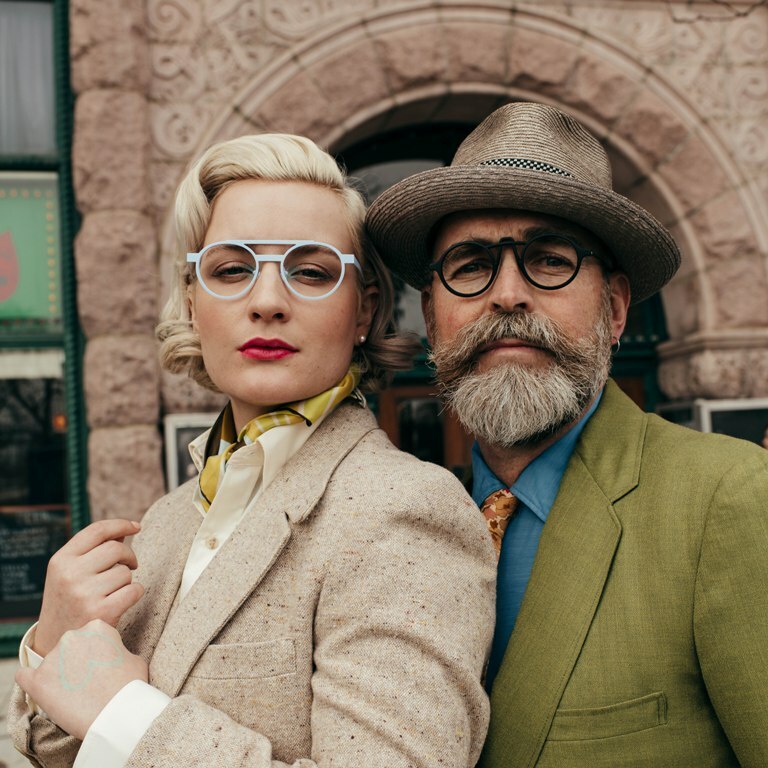 When the Queen of Specs discovered The Dial Bookshop at the Fine Arts Building on Michigan Ave, she knew it was just the spot for the next Eye Spy Lookbook shoot!